Another technique that motivates readers to open emails is calling out the hot industry topics. Of course, any good marketer is creating content that address the issues that are top of mind for their prospects, so including those terms in the subject line should be automatic. Read more on how to improve your open rates immediately with this post from Anthony Schneider. Once you’ve figured out the formula for fabulous subject lines, you may be interested in learning more about writing wonderful emails. 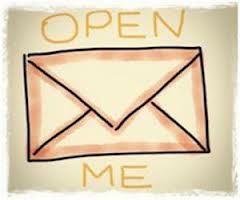 Check out this post “Anatomy of an Awful Email” for a guide on what not to do. Oh, and don’t forget to optimize the emails and landing pages for mobile. With mobile device use continuing to rise, demand generation efforts need to be responsive as well. According to a Google Survey, 61% of site visitors using mobile device are likely to leave a site that’s not optimized for mobile. With a third or more emails being opened on tablets and smart phones, marketers can’t afford to not optimize.